Green flour is freshly milled flour that has not been given time to age and oxidize. Also Known as Immature Flour and Freshly Milled Flour. Flour that is used immediately after it is milled. Most high-speed bakeries use their freshly milled flour within 48 hours. Green flour is freshly milled flour that has not been given time to age and oxidize. 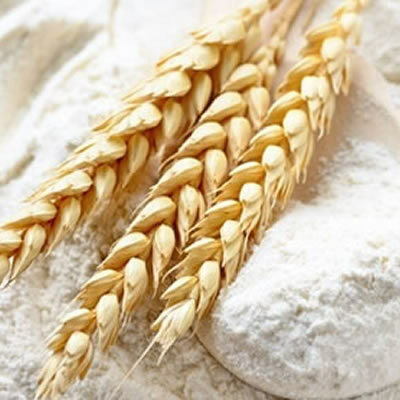 Aging of flour refers to the physiochemical reactions that happen during storage. These changes seem to improve the bread making properties of the flour. Use of green flour produces dough that takes a longer time to fully develop in the mixer, and if dough conditioners are not present, would result in bulky dough and dough that tears easily. Harrel, C. G. “Maturing And Bleaching Agents Used In Producing Flour.” Industrial & Engineering Chemistry 44.1 (1952): 95-100. Bennett, Ruth, and J. B. M. Coppock. “The Natural Ageing of Flour.” Journal of the Science of Food and Agriculture 8.5 (1957): 261-70.